I read this book in about two weeks which is slow for me but I was busy. 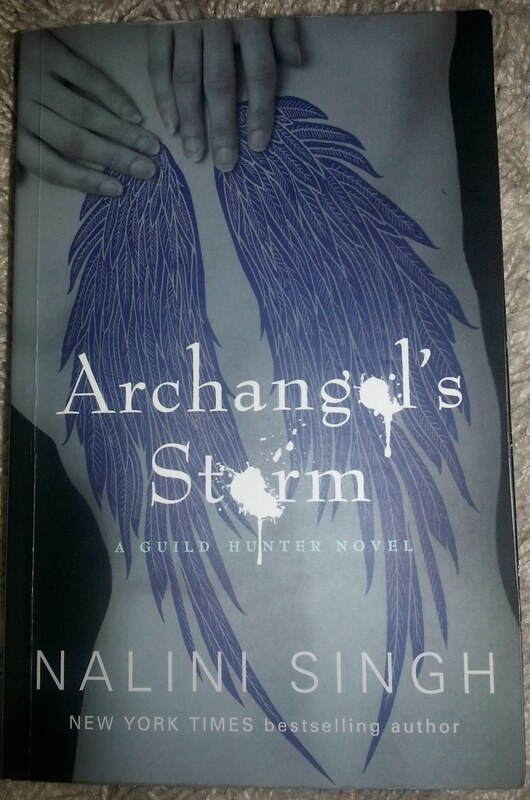 Anyway this book follows on from the Guild Hunter series which if you haven’t read you need to. 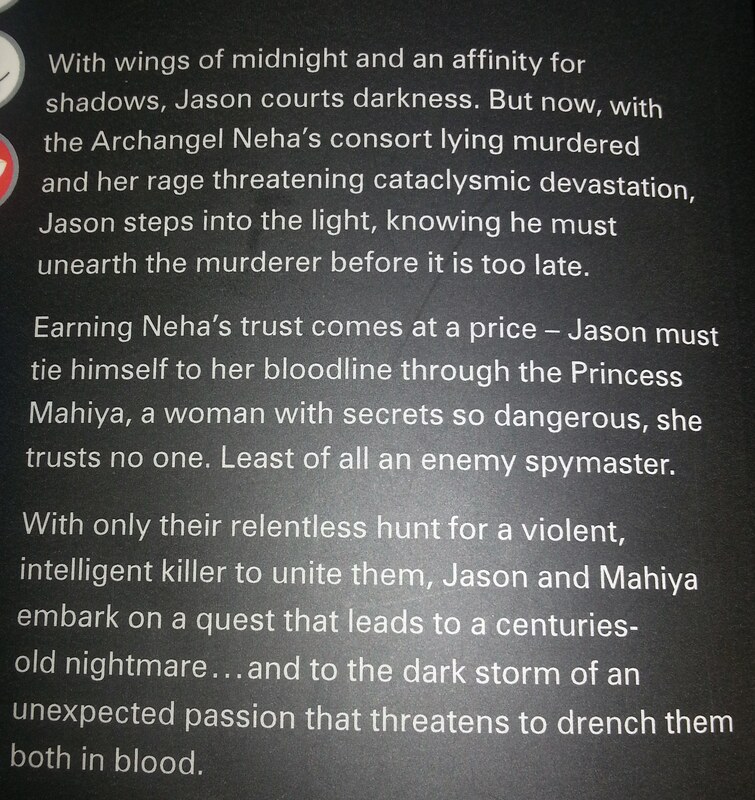 I loved the story line between Princess Mahiya (trapped in Neha’s palace after years of being used as a toy and discarded from her fathers affair) and Jason who is a dark and dangerous angel who works for Raphael as one of his trusted 7. This book has everything, crime, murder, love, secrecy and loyalty, but most of all these books are paranormal. I could not put this book down from start to finish. You see the pain both jason and Mayiha went through as children and why it has made them the quiet but unpredictable pair they become after a blood oath was made between them so that Neha could rely on Jason staying to solve the murder of her unfaithful partner. The book also includes small sections of what is happening with Dmitri and his partner Honor from the last book Archangels blade. I would rate this book 4 stars because it did take me a while to get into the book but once I was I wanted more. 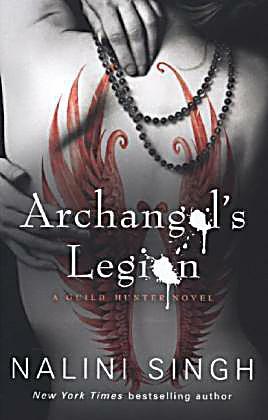 Archangels Legion where Raphael and Elena are the main characters in the book again when the world is beginning to change. For more information comment below and tweet me. And for images of the books I am reading and what you think I should read follow me via instagram and twitter in the sidebar where I post all my new books and what page I am currently on.